The Utah Liberal Party formed in 1870 as a means to consolidate power among Utahans who opposed the Mormon Church's theocracy. Godbeites, a Mormon spin-off group led by William S. Godbe and made up of dissidents who disagreed with the economic policies of the church, joined political forces with a group of anti-Mormon Gentiles made up mostly of businessmen who came to Utah during the mining boom. Though united by their common animosity toward Mormons, the two anti-Mormon groups soon learned of an irreconcilable ideological difference. The Godbeites still practiced a form of Mormonism, calling themselves the Church of Zion, and for a few Godbeites, a split from the main Mormons didn't necessitate a split from their multiple wives. But the Herald's declaration was a bit premature. The Liberals regrouped and, rid of their immoral, criminal polygamist mates, continued their opposition to the Mormon Church for nearly two decades. As Mormons increasingly felt national outrage encroaching on their territory from the outside, outsiders – like those who made up the liberal party – persisted in challenging their authority from within. And near the turn of the century, outside pressures and opposition from within the Utah Territory began to coalesce. Anti-Mormon sentiment fueled by the "Mormon question," a national debate about polygamy, Mormonism, and Utah's place in the nation, benefited the Liberal Party in their continued fight against the church and plural marriage. 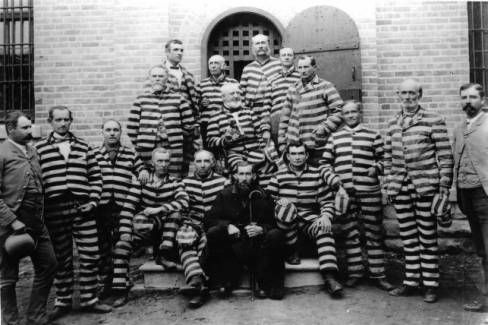 The passage of the anti-polygamy Edmunds Act of 1882, and the more forceful Edmunds-Tucker Act in 1887, created an absence of Mormon leaders, candidates and voters, who were locked away in the Sugar House Prison as a result of their polygamous tendencies. With the support of an outraged nation and Utah's increasingly vocal Gentile population, the Liberal Party was able to capitalize on this absence. 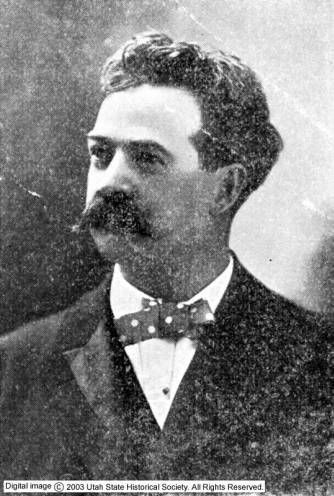 They won elections in Ogden in 1889; George M. Scott became the first non-Mormon mayor of Salt Lake in 1890; and in 1891, the Liberal Party took one-third of the seats in the Utah territorial legislature. But the Liberals could only exploit national outrage and the absence of influential polygamists for so long. In 1890, Mormon president Wilford Woodruff issued a manifesto forbidding polygamy and members abandoned the practice. Without such a sensationally offensive issue to propel its popularity, the Liberal Party began to lose steam. In 1893, as the polygamy issue faded and Utah began to bid for statehood, the Liberal Party disbanded and its members were absorbed into national parties. Of course, anti-Mormon sentiment didn't fade among some Utahans. In 1904, Frank Cannon, former Utah Senator (the first), formed an alliance with current Utah Senator Thomas Kearns in the smoky rooms of the Alta Club, a Salt Lake social club. They founded the American Party, the political successor of the late Liberal Party. Kearns, owner of the Salt Lake Tribune, hired Cannon to be the paper's editor, and under their control the paper became the American Party's mouthpiece, persistently attacking the Mormon Church and its supporters. The Mormon Church's economic demands were once again called into question: on February 1, 1905, Cannon published "Are Mormon Peons?" an article indicting the church for its policy of tithing members. The American Party platform, echoing the moral outrage of their Liberal predecessors, also claimed that prominent Mormons continued to practice polygamy in defiance of Wilford Woodruff's manifesto. Despite their influence and their fervor the American Party went the way of the Liberals after a poor performance in the 1911 elections. Their brief but fierce run, like the short-lived success of the Liberal Party, exemplified the Mormon Church's tenuous grasp on their territory at the turn of the century. No longer the isolated Zion its founders strived to design, Utah entered the 20th century with a passionate, opinionated, and often disputatious population. Such varied zeal – from liberals, polygamists, Gentiles, and tycoons – characterizes a healthy democracy, a political space teeming with righteousness and entitlement on all sides, a place in which debate, no matter how petty or prejudiced, thrived. "To 'Gentile' Voters" and "A Few Pertinent Queries"